How Can You Stop Making Impulse Purchases? Lots of us enjoy shopping. All the shiny new pretties are tempting. The problem is that most times we don’t need those impulse items. All those extra purchases aren’t doing the environment any favors, not to mention personal finances and the general clutter that builds in our homes. 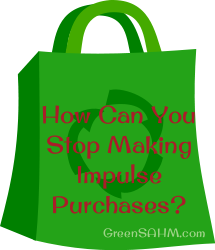 How can you stop making impulse purchases? Deciding to wait on impulse purchases cuts down on most of them. Give yourself some time away from that tempting item before you buy it. It helps. Out of sight, out of mind for one thing, but also you can often think past the “ooh, neat!” factor and figure out if you really need the item. Most times you really don’t. Really think about whether you want or need the item. We all get some things we want more than we need, but it’s best to keep that under control. Odds are good that there’s something you need more. That impulse item may not be the best buy for your needs even if you come to realize you need it. If you’re going to buy, make sure you’re really buying the right item. Don’t let impulse items mess up your budget. If they aren’t in your budget, don’t buy. Make sure you’re getting a good deal, both in price and quality. Cheap junk is always cheap junk, no matter how cheap it is. In the long run, is this a purchase you will enjoy? This is a thought that can stop many impulse purchases if you give it enough time to take hold. It’s especially true with clothes. Just think how fast trendy clothes go out of style. It makes far more sense to buy clothes that will look good for years, not just several months. Consider whether you’re making an environmentally friendly purchase, and if not, if there are alternatives which would do better in that sense. Think about how the product was made. Think about where waste from your purchase will go, from the packaging to the item itself when it wears out. Just Who Are You Keeping Up With Anyhow? It’s pretty much in our nature to be interested in what other people have. It’s interesting, and sometimes you get some neat ideas. It’s probably a part of why Pinterest has taken off so well – we like seeing what has caught other people’s attention. But really, who are you trying to keep up with when you buy stuff, and why? I had a talk with my daughter about this recently. She was bemoaning the fact that she doesn’t have her own cell phone, iPod, etc., yet she says all her friends at school do. She’s in fourth grade, so I can well believe that these days most her friends have such things. We had a little talk about why she doesn’t. In large part, it’s financial. I see no need to strain our budget just to have the cool gadgets. It’s under enough strain as is. But it’s also because we don’t need them, and she doesn’t need them. She does have an MP3 player. It’s a few years old, doesn’t play games or look cool in any way. But if she wants music, it’s there for her just as soon as she recharges the batteries, and my husband has a huge library of music to go through. She’s not exactly deprived of the chance to carry her music with her if she’d like. It even plugs into her clock, which is nice since we get lousy radio reception here. It just isn’t the “right” brand. Lots of us have the same problem even as adults. You see what someone else has, and you want it too. You end up buying stuff you don’t need and sometimes isn’t even the best choice for your own needs. That’s great for marketers, but not so great for the environment and possibly not that good for you either, especially when it means you end up spending more money than you should have. Sure, there are times when you learn about products you really do need, are great for the environment (at least relatively speaking), etc. through friends and family. Sometimes it’s worthwhile. It’s just that more often it isn’t. Rather than keep up with others, keep up with yourself. Really think about what it is you need. 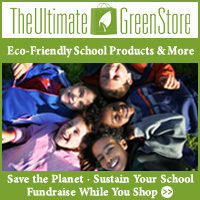 Consider which products suit your budget and sense of environmental responsibility. You’ll probably be happier with your purchases in the long run that way. You may even find that simplifying works better than buying more in some areas of your life. How Can You Avoid Consumerism This Holiday Season? Halloween is just the beginning of the holiday season. Stores have long since put out Christmas decorations for sale and many children are already thinking about what they’d like for Christmas. Is there any way to avoid excessive gifts and so forth throughout the holiday season? No matter the holiday you’re celebrating, remember why you’re celebrating it and think less of the things involved. Holidays of all sorts are celebrated for special reasons, and sometimes these reasons get lost in the drive to participate in the way family and friends have come to expect. This often leads to too much stuff being bought and a lot of stress to make everything just right. What really makes a holiday celebration a success? It’s usually not so much the gifts or even the food. It’s the people. Your best holiday celebrations are shared with people you care about. There may be some arguments and hurt feelings, but there’s a reason why holidays are such a focus for getting family together. Enjoy it as best you can. There are many ways you can control how much is spent on holiday presents. You can agree to dollar amount limits. You can agree to shop at resale stores. You can agree to give each other things you’re done with that the other would like. You can draw names so that each person only needs to shop for a few. Handmade gifts are another great option, especially if you have a lot of creative people in your family. Handmade gifts have a lot more personal meaning to them than anything you can give from the store. You can also agree to simply exchange holiday greetings with extended family rather than gifts. This can be extremely welcome if finances are tight for some families. Find something that works for your family. It may take some time – sometimes one or more people will agree at first, then fall prey to the urge to continue on as before, leaving others feeling as though they haven’t done enough. It takes a lot to make a limit on holiday shopping work, but it can be done if all participants really want it to. As for your own children, they really don’t need a ton of presents. In my family, the stuff grandparents give them take care of most of that urge kids have to unwrap presents, while my husband’s and my main gift to them is a shopping trip with one or both of us. A budget is set, and they get to pick a toy and some new clothes, then we head out for a treat. Simple and they beg for that to be their gift each year right now. Kids love it when your time is a part of their gift. I love that the clothes they’d need anyhow can be a gift. A gift doesn’t have to be something that sits in the recipient’s house. It can be given to a charity the recipient approves of. Think about programs that allow you to buy schoolbooks or livestock for people in need, or that bring clean water to communities without clean water nearby. There are a lot of great charities that help with the specific things communities need. Food is a big part of many holiday celebrations. Everyone has their favorites and their traditions. Some ways, it’s harder to change food traditions than gift giving traditions, but you can make it work. Start with food sources. What can you buy that was grown or made locally, free range or organic? How much can you make from scratch? Can you avoid processed foods? It’s not always easy to improve your food sources. It can be downright expensive or impractical, depending on what’s available in your area and your budget. Just do what you can. It takes time to make major changes to how your family celebrates holidays, but the benefits are great. Not only do you give things that are more wanted, but you get less stress and more time to truly enjoy the holidays and the time with your family.